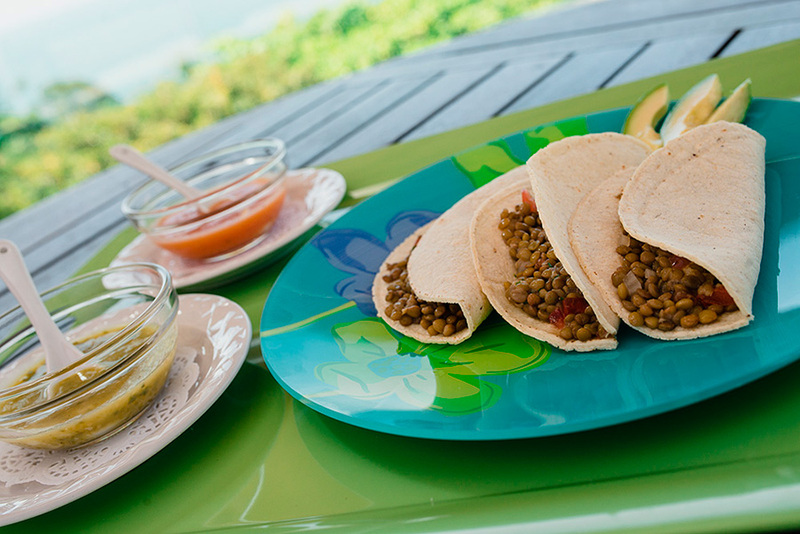 Enjoy some delicious tacos without guilt. Heat half of all the oil in a large skillet over high heat. Toast corn 5 minutes, stirr; season with salt. Remove corn; set aside. Add zucchini; cook until tender, 10 to 12 minutes; season with salt and pepper. Cook 3 minutes. For the guacamole: scoop out and mash the avocados. Add the onions, tomatoes, pepper and mix. Split filling among tortillas; top each with guacamole.